The ICHOM team is pleased to announce that site recruitment for our Inflammatory Bowel Disease Outcomes Community is now open. The lack of transparent and standardised data to enable comparisons around costs, outcomes and patient experience is a key barrier to improvement and innovation in Inflammatory Bowel Disease care delivery. 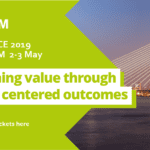 ICHOM offers a prospective project to encourage and enable a provider community made up of 10 hospitals from around the world to measure outcomes. The aims of this implementation community are to measure patient health outcomes in a standardised way, in order to enable the community to understand variations in value delivery. The data collected will be used as the foundation for learning and quality improvement opportunities through the development and sharing of value improvement strategies. Through this project we will create large scale impact in the sector by forming a community of ten providers who are measuring outcomes consistently and in a standardised form via the ICHOM IBD Standard Set. By supporting the community in measuring and utilising outcomes data this project will help to improve the quality and value of their services. Community engagement and shared learnings on the measurement of health outcomes and costs. Contact Elizabeth Maclean (Implementation Project Leader) at e.maclean@ichom.org to schedule an information session and receive the application form. The International Consortium for Health Outcomes Measurement (ICHOM) is a non-profit organization founded by three esteemed institutions (Harvard Business School, The Boston Consulting Group and Karolinska Institute) with the purpose of transforming health care systems by measuring and reporting patient outcomes in a standardized way, and by driving adoption and reporting of these measures worldwide. 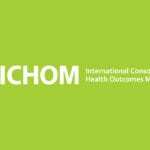 Launched in 2012, ICHOM works with patients, leading providers, and registries to create a global standard for measuring results by medical condition. 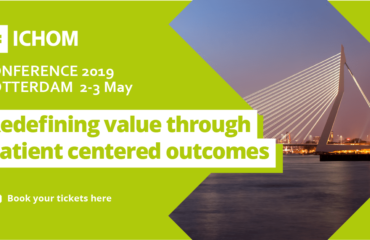 ICHOM supports one of the key strategic agenda items in the Value-Based Healthcare delivery framework, which aims to offer the best possible outcomes to patients for the lowest possible cost. By restructuring care-delivery around outcomes, and promoting superior outcomes with financial incentives, healthcare systems will improve quality and curb inefficiencies benefiting patients and stakeholder across the healthcare spectrum. ICHOM takes a unique approach to defining health outcomes building patient-physicians partnerships. First, we involve patients directly in the process. All our patient representatives have been treated for the condition they are evaluating. Then, we bring together leading physicians from across the globe who specialize in treating this condition. These physicians hold diverse perspectives and are pioneers in their respective countries. Finally, the ICHOM team facilitates as physicians and patients discuss – and agree upon – the outcomes that matter most to them. Once work is finished, ICHOM’s Standard Sets are published on its web site for all to see and benefit. ICHOM has now published 27 Standard Sets covering more than 50% of the global disease burden.